Mark Zuckerberg, founder and CEO of Facebook, will be lecturing at FGV (Fundação Getúlio Vargas) in São Paulo attending the event FGVcenn - Centro de Empreendedorismo e Novos Negócios (New Business and Entrepreneurship Center). The lecture will be conducted in person for students of FGV and also it will be live broadcast for free via www.facebook.com/fgvcenn. It's a great chance to hear his story and learn a bit more about Facebook. When: August 4th 2009, Tuesday from 11am till 1pm (GMT +3). This Friday (July 31st) 500Health Surveillance officers will be monitoring the whole state aiming to educate visitors, customers and traders about the new Smoking Restriction Laws coming up on next August 7th. They are going to explain the new legislation establishing that cigarette will be forbidden inside closed places of collective use. The fine for those who break the law ranges from R$ 792,50 to R$ 1,585 in the first time. 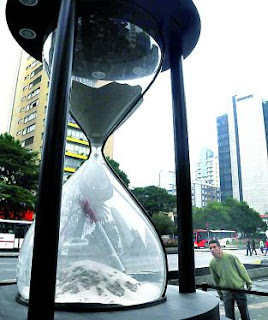 A huge hourglass was placed at the Oswaldo Cruz Square, close to the Av. Paulista, representing as countdown to the beginning of the Smoking Restriction. Some others were installed in the central areas of the cities of Campinas, Santos and Ribeirão Preto, and will remain for the next two weeks. The Sao Paulo's State Government will spend more than R$ 1.5 million delivering gifts on the aim to promote this new law. This campaign has been planned just to Sao Paulo city. About 810 thousand gifts, ranging from balloons, garbage bag for cars and pendrives. It will also be delivered 1.6 million brochures, stickers for cars and displays. For the public schools will be sent 3 million comic books. The distribution will prioritize busy spots, such as parks, subway stations, bars and restaurants. The idea is to start a campaign next month, but it could be changed due to a possible bidding process. The Metro runs every day during the week from 4:40 a.m. and have different closing times of each station and the time limit to switch subway lines is midnight. Saturday the Subway extends its hours until 1am of Sunday and the transfer between the 3 lines is granted until the 1:00 a.m covering the lines 1-Blue, 2-Green and 3-Red. The line 5-purple runs from Sunday to Saturday, from 4h40am till midnight. The lines are the Blue, which covers the north-south route linking the Tucuruvi to the Jabaquara Stations. The Green Line goes under the Avenida Paulista connecting the Vila Madalena Station to Alto do Ipiranga Station. The Red Line, which is the east-west route linking Corinthians/Itaquera to the Barra Funda Station. The Purple Line, from Capão Redondo to Largo Treze Station. The system is growing, and the govern estimates delivery the new Yellow Line between the end of 2009 and 2012. • Single: R$ 2.40 valid for a trip. • Single ticket for the Purple Line: R$ 2.30 valid for a trip. • Special Ticket for Retired people: Valid for 180 days and are distributed to users above 65 years old. • Special Unemployed: Valid for 90 days and are distributed to employees dismissed without just cause, for at least a month and a maximum of six months and have worked at least six continuous months on the last job. It also makes integration between bus and subway lines. Information on the Subway website - http://www.metro.sp.gov.br/ - Phone: 0800 770 77 22 (Monday to Friday, from 7am till 7pm, except on holidays) or on the SPTrans website - http://www.sptrans.com.br/sptrans08/home/ - tel. : 0800 771 01 18. 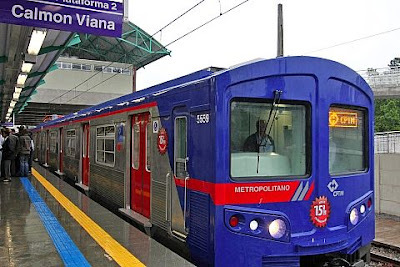 New method that provides discount pricing to use the Subway and CPTM (Metropolitan Train) every weekend between Saturday 6pm till the last service on Sunday. The Leisure Ticket can valid on holidays. As the first purchase, in addition to the credit, it will be charged R$ 2.00 for the plastic card. The Leisure Ticket (BLA) uses the same technology of smart cards, and it's rechargeable in any Subway Station, news agency stalls or any other accredited shop. Click here and see where it's possible to purchase and recharge the Leisure Ticket. The Leisure Ticket is accepted on Subway Stations an CPTM (Metropolitan Train). 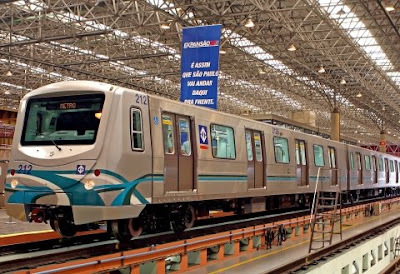 The 5-Purple Subway Line (Capão Redondo till Largo Treze) does not work on Sundays and holidays, so the Leisure Ticket (BLA) works on Saturday, from 6pm till midnight. This card can be used in sequence by more than one person, without access restrictions. The card is for exclusive use in the Subway and Train system and are not accepted on buses. In case of loss, the user must request the blocking of their credits at the service Fidelidade e Lazer placed at the CPTM Station Brás or at the Sé Subway Station. Information by phone 0800-7710118. The Secretariat of Metropolitan Transport recommends to users that, after making the purchase of the card, is made in a registration sites or the Metro CPTM. Through this register will be guaranteed the replacement of electronic credits in the event of any loss or theft. CPTM (Companhia Paulista de Transporte Metropolitano – São Paulo Metropolitan Transport Company) covers both peripheral regions of the city and Marginal Pinheiros. At Luz station terminal, subway and train integration is free. Subway and train system also connects at the following stations: Barra Funda, Brás and Santo Amaro. For further information, phone: 0800-055-0121 and http://www.cptm.sp.gov.br/. 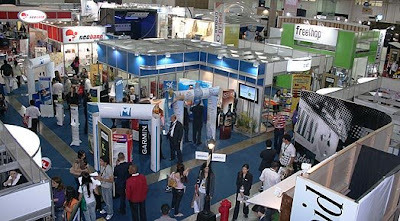 The Expolazer is the largest business fair in Latin America for the sector of leisure and entertainment. Under this concept, brings together the leading manufacturers of swimming pools and accessories, for outside decoration, toys to thematic parks, playgrounds, social games, etc. Each year, the show brings the news for retailers, manufacturers, professionals, parks, distributors and importers. The variety of releases and activities turn this fair into a huge business event and reference point for the sector professional updating. When: August 5th to 8th 2009. 5th to 7th, opened from 1pm till 9pm and 8th from 10am till 5pm. Until next Friday (July 31st), it's possible to have classes of Fondue and Wine at Mercadao on center of the city. Chefs de cuisine will be there teaching and preparing tables of cheese's fondue. Experts will also provide some classes of wine. The event, which is free, starts every day at 1pm (once a day) during this week at Mercadao up on the mezzanine. Applicants must call to make a reservation by phone (11) 3313-7456. 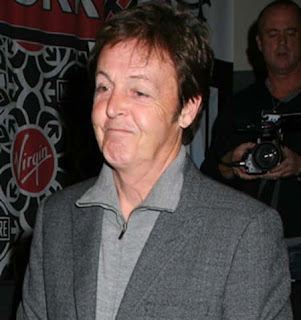 Seventeen years after his final concert in Brazil, Paul McCartney will be back to the country. According to the site Songkick, which publishes and sells concert tickets, the ex-Beatles will make three concerts in April 2010. The Brazilian Tour of Paul begins on April 16th at Maracanã Stadium (Rio de Janeiro), later the next concerts would be in Sao Paulo at the Morumbi Stadium (April 18th), and finally at the Esplanade of Ministries in Brasilia (April 21), when the city celebrate its 50th anniversary. In addition to songs from his solo career, as "Live and Let Die" and "Band on the Run", Paul presents great classics of the Beatles, like "Back in the USSR" and "I Saw Her Standing There." The Movimat offers a comprehensive research and development trends in the management and control of the materials flow. Gather all the products and services related to logistics, processes and presents alternatives and conveniently in one place. You will find users, consultants, integrators and those involved in the decisions of buying technology, products and logistics services. It is a technical expertise fair that annually presents the latest advances in the technology segment of Intralogistics. It brings together more than two hundred companies - Traditionally, manufacturers and distributors of industrial vehicles and accessories and its parts, such as: wheels, batteries, structures door pallet, lifting equipment, cranes, hoists, conveyors, continuous, pallets, packaging and accessories among others. When: August 4th to 7th 2009, from 2pm till 9pm. This event presents the novelties and the most important releases of the year in services and promotional products, gifts, corporate products, products and services for the realization of events, merchandising solutions for point-of-sale services, marketing, graphic services, business licensing of brands and characters. In its last edition, more than 10,000 professionals had the chance to see the newest ideas and launches presented by around 200 suppliers of giveaways, promotional products and services, solutions for point-of-sale merchandising, graphic resources aimed at the promotional area and services for the organization of events. Where: Transamérica Expo Center – Avenida Dr. Mário Villas Boas Rodrigues, 387. When: August 4th to 6th 2009. For many centuries, São Paulo was a rather unexciting city. This changed radically with the arrival of great waves of immigrants at the end of the 19th century, followed by migrants from other parts of Brazil in the early 20th century. They were attracted by the coffee plantations and later by industry and the service sector. The Natural Tech is a special event developed to launch and promote the latest studies in functional foods and healthy, physical therapy, nutraceuticals, food supplements, natural products, diet and light, and cosmeceutics complementary medicine. Its objective is the commercial and technological meeting with the trend of growth of the market observed by industry sector. Where: Pavilhão da Bienal – Parque do Ibirapuera — Avenida Pedro Álvares Cabral, s/n. When: July 23rd to 26th 2009. Opened to public: July 25th to 26th. Two years after the show at the Tim Festival, the band The Killers return to Brazil. The American band arrives in São Paulo for shows in November. The Killers is currently promoting the album Day & Age, released in 2008. The sequence of the Latin concerts series was organized by an Argentinean businessmen group, that has already been in São Paulo searching for the right place for the show. The lead singer Brandon Flowers set up the Killers in 2002. 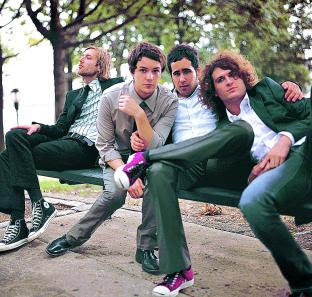 The band was created in Las Vegas and blew out since the first album "Hot Fuss" in 2004 with the songs: "Somebody Told Me," "Mr. Brightside," "All These Things That I've Done" and "Smile Like You Mean it ". Besides it always get destroyed, any skater appreciates a little bit of art spread up on the skate board. This issue has already been a reason for many exhibitions around the world. Support for testing of many artists. It's part of the history of the skateboarding around the globe. However, this kind of art has never been searched as on this documentary before. Re: Board, is the artististic work of the skater and musician Alexander "Sesper" Cruz. In 75 minutes, the Skater shows the artistic style of the Brasilian skate and records its history. When: Expo: Tuesday to Friday, from 11am till 20pm. Saturday, from 12pm till 6pm. Movie: Wednesday at 7pm and Saturday at 6pm. The Tietê River will win a park of 75 km length, 33 sport places and recreation plus 230 km of bike pathways. The space will be built straight beside the river, between the east zone and the city of Salesópolis. The government has already signed the intention protocol with the mayors of the eight cities that will be involved to this project. Besides the capital, this Park called Várzeas do Tietê will cross Guarulhos, Itaquaquecetuba, Poá, Suzano, Mogi das Cruzes, Biritiba Mirim and Salesópolis. The delivery forecast is 2016. The project is organized into three phases. In the first one, it'll be invested R$ 377 million, where 70% of the funding will come from the Banco Interamericano de Desenvolvimento. It includes the 25 km between Penha and Itaquaquecetuba and must be delivered in 2012. 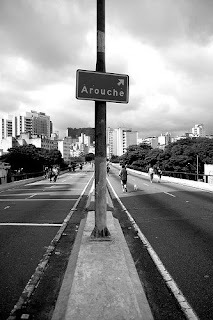 The stretch of 8.5 kilometers of biking untill the Pimenta's suburb, in Guarulhos, should be open in January 2010. The construction of the park, which has 3.8 million square meters, will cost R$ 1.7 billion. It should help to combat flooding and to reduce pollution of the city and also will be planted 63 thousand trees. This video was a Dance in São Paulo's Downtown at Praça do Patriarca, centro de São Paulo, on 15 de abril de 2009. This event was organized by São Paulo Turismo Agency and City Hall. 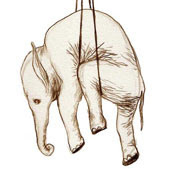 It was producted by Instituto iARTES - Instituto de Artes do Brasil. This two-story building offers a restaurant plus two bars and it has a capacity for 250 people. The place is classic so better is well dressed. The decoration and the name is a tribute to an old Brasilian singer. On the wall, it's possible to find pictures about his life the life and work. 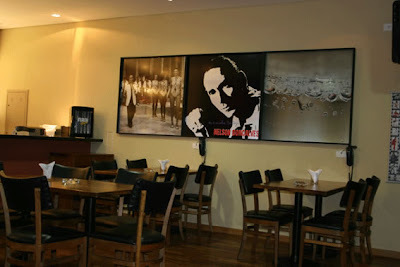 The cover of the tables bring the format of LP (Long Play) and is on the mezzanine where are most of the images printed on the wall referring to the Brazilian musician. The suggestion is the dish called 'Vinil'. 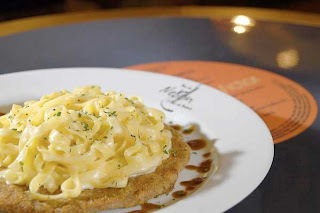 It's a chicken fillet and fettucine al white sauce. When: Every day, from 4pm till the last customer. How much: Around R$ 45 per person. While New York lost its position to Milan as the world capital of fashion, São Paulo jumped from 33rd to 8th positionin in the Global Language Monitor’s annual global survey. That's a non-profit U.S. group that tracks the frequency of words and phrases in the media. Following São Paulo, Brazil is also represented by the Rio de Janeiro, which jumped from 30th to 17th position. While Europe represents the majority of the top ranking with Paris, Rome and London respectively in 3rd, 4th and 5th place, cities in developing countries are also becoming the world reference fashion, such as: Hong Kong, which moved to 7th place, Shanghai and New Delhi, side by side with the 15th and 16th place. Millie Lorenzo Payack, director of the Global Language Monitor has an explanation for this phenomenon. “The global economic restructuring has affected the fashion industry just as it has touched everything else,” said Millie L. Payack. Biroska is a typicall Brazilian bar, fulled of characteristical people from most of parts of Brazil. It's a place to go any day but specially on Mondays (busiest day) to have some beers and dance. Opened in 1971, this bar became famous for been an "Artist's House". A place where could be possible to meet brazilian pop stars. This fact came up because on 80's, there was an agreement between the bar and the RCA Records, so famous artists such as Raul Seixas, Paulo Coelho, Antonio Marcos, Sydney Magal and many others, were easily found on the tables. Later on, some artists from the country music (sertanejos) began their career in Sao Paulo, playing on the Biroska's stage, such as Zezé di Camargo & Luciano and Leandro & Leonardo. 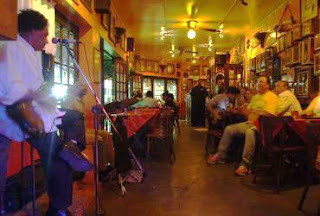 The walls of the bar bearing almost the history of Brazilian music. Tables, photographs and posters of various performers and composers, mixed with pieces of old clothes, objects of famous personalities and newspaper cuttings give the tone to the decor. The bar, now, receive all kinds of people. The live music starts at 7pm and goes till last customer. Upstairs there is a place to dance, which opens at 11pm. The house also has a VIP area. It is place reserved for those who want to get a break from the noise. Nowadays, the bar is attached with a restaurant called Territorio da Bahia (Bahian Territory). 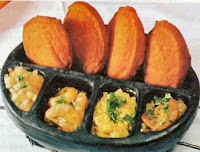 In the menu, several options of Brazilian cuisine (particularly the one from Bahia), such as: Vatapá, Sarapatel, Moqueca de Peixe, Bobó de Camarăo and the delicious Acarajé. This bar keeps its doors opened for several hours. As early as you arrive, as calm as it is. As long as it gets late as much as the behavior changes. Choose your mood and have look. When: Every day, from 6pm till the last customer. How much: Around R$ 40 per person. After passing through Rio de Janeiro, the Anima Mundi Festival comes to Sao Paulo and it'll be hosted by the Memorial da America Latina (Latin America Memorial) and Centro Cultural Banco do Brasil. 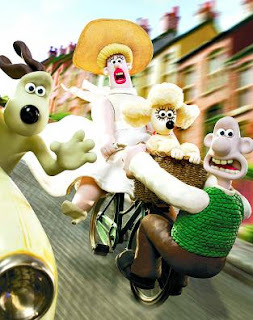 The 17th International Animation Festival from Brazil presents 401 films from 40 different countries. This one is a good year for the event. With the great impact of Brazilians such as Carlos Saldanha — responsible for the movies Ice Age — on the digital entertainment market, the genre has gained a new momentum. An example of it is the number of registered long movies inscribed this year: 9 against 4 from 2008. The Brazilian representative: Aventuras de Gui e Estopa by Mariana Caltabiano, will be exhibited out of the competition. Among the features are the movies: Immigrants, by the Hungarian Gabor Csupo, the ironic $ 9.99, by the Israeli Talia Rosenthal, and Mia et le Migon by Jacques Rémy. It will bring to the Brazilian audience the best world animation, it will present Competition Screenings, Special Programs, Retrospectives, International Guests and professional workshops. Further the films, the public will be able to chat with big names of the animation world, like the French Michel Ocelo and the owner of the blog Cartoon Modern, Amid starch. Mike Cachuela, who developed a visual history of movies such as Ratatouille, The Incredible and Toy Story will offer the workshop Making Your Film. When: July 22nd to 26th. When: Monday to Friday, from 11am till 6h30pm. Saturday, from 11am till 3pm. It ends on July 31th. The time of the Bullet Train journey connecting Sao Paulo to Rio de Janeiro that the federal government wants to build should be faster than airplane trip. A study done by the Halcrow (British consultants) attending to a government request shows that the route could be completed in 93 minutes, 21% less time than the average of 110 minutes spent by the air companies that are currently available, including check in, boarding and arriving procedures. But the technicians related to the project believe it unlikely will be ready to the World Cup 2014. Environmental licensing and actions against the expropriation can be the reason for the delay, according to the newspaper Folha de S. Paulo. Besides, there is an issue regarding about investiment. About 18% of the 91 kilometers route will pass through urban areas and it will demand tunnel structure. Because of that, the value could increase from the originally R$ 20 billion to R$ 34.6 billion. A Bullet Train ticket will costs R$ 150, rising to R$ 200 during rush time. The airline tickets currently cost about R$ 180 and R$ 400 during rush time. There is a really good Indian restaurant in Sao Paulo called Gopala Hari. It's a charm two-story building decorated with thematic elements and rose's petals on the floor. At the entrance, a hostess ornamentally dressed is addressing tables to the customers and explaining how it works. Basically it's possible to choose between two different dishes and four desserts every day. 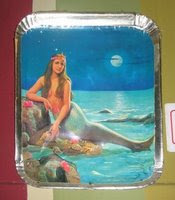 The meal can be served on two sizes: small (R$ 13,50) and big (R$ 17). There is a juice included and it can come with sugar or not. Every day, the menu changes, bringing a interesting diversity during the week. 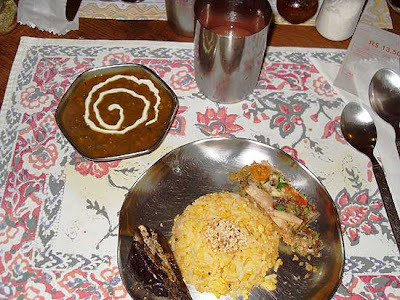 Come to see how delicious is the Indian culture! When: Monday to Friday, from 11h30am till 3pm and Saturday, from 12pm till 3pm for lunch. Friday and Saturday, from 7h30pm till 10h30pm for dinner. This traditional pizzeria, that first openned it's doors on late 50's, brings the name of the main character of the family Tarallo. Dona Speranza was an authentic italian Mamma from Naples, that came to Brazil after the Second World War. 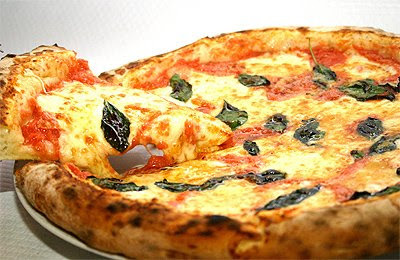 The first restaurant was launched on Bixiga and introduced the pizza Margherita not only to Sao Paulo, but also to Brazil. It came together with the calzone and the Tortano (sausage bread from Naples). Late on 70's the suburb of Moema was chosen to host the second restaurant. Speranza is part responsable for the italian cookery in Brazil. Definetly, one of the best pizzas in Sao Paulo! When: Monday to Friday, from 6pm till 1h30am. Saturday, from 6pm till 2am. Sunday, from 6pm till 1am. How much: Around R$ 35 per person. When: Monday to Saturday, from 12pm till 3h30pm - 6pm till 1h30am. Sunday, from 6pm till 12am. 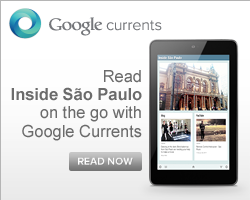 If you always ask yourself: Where can I buy a gift in — or about — Sao Paulo? Or also if you wanna give a souvenir about the city to someone and don't know where to find something nice, take a note! The brand Sampa in Stamp has a shop full of thematic items about São Paulo. There are pins (R$ 5), t-shirts (R$ 39), mugs (R$ 15), bags (R$ 35), maps (R$ 35), posters (R$ 39) and picture books (R$ 70)... All about SP. Pictures landscaping skyscraps of the city, MASP or Copam building can be found at this shop. The niciest thing about buying something is the packed. 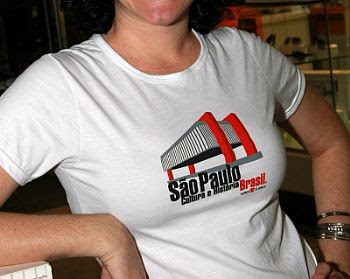 For the t-shirts, it comes in a carbon box similar with a pizza box (connecting the famous paulista's habit of having pizza every time). Have a look and see if something match your search. We know that the designers Fernando and Humberto Campana are reference worldwide. Objects, sometimes decorative, sometimes functional, earn an art [you get any critical defect] when created by two brothers. Now, the Campana are in a joint 'curatorship' venture: they have selected among the almost five thousand artworks from the MAM (Museu de Arte Moderna) to get the best of those elements. Leda Catunda, Geraldo de Barros and Farnese de Andrade are some of the features. When: Tuesday to Sunday, from 10am till 5h30pm. Closed on Mondays. How much: R$ 5,50. Free on Sundays. Do not know where to go after midnight, and still keen for the last beer... 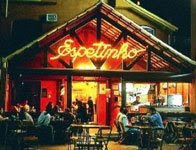 There is a place that can help you called Espetinho, Cerveja & Cia. It works 24/7, has all sorts of people and the food comes in reasonable price. 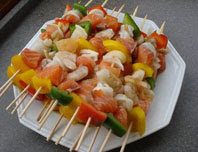 The feature is the main dish: Espetinho (meat on a stick). The mood is good and the beer costs R$ 5, there are about 30 different kind of 'espetinhos' including fruit. Most of the fun comes from the people that by the same way of you, are awake early in the morning. There is, also a karaoke room, which is great to get good laughs. Try it out! How much: Around R$ 30 per person. On July 13 is celebrated the World Day of Rock and held various commemorative activities that date around the world. The date was established officially by the UN in honor of the Live Aid event which was held on July 13th 1985 in England and the USA (but broadcast live to the world) and it became the first mega event to benefit area musical, which raised hundreds of millions of dollars to fight hunger in Africa. Each year since 2004, the highest benchmark in the case of rock in Brazil and Latin America - the Gallery of Rock - promotes a festival that combines music, fashion, photography and visual arts through the Cultural Institute Gallery of Rock. The Institute has existed since 2001 and promotes various cultural events, not only within the physical space of the gallery, but also throughout the surrounding region, notably in the Largo Paissandu. This year there will be exposition of sculptures of Michael Jackson, Elvis Presley, expositions of pictures of famous international artists, fashion parade, music show and much more. Don’t miss it and let us know how it was!!! This Gallery is really interesting to know, 4 levels of shops for Rock fanatics! Everything you can imagine can be found here. The t-shirts are really cool. You can’t leave the city without having bought one. Let’s see something about its history. The architect Alfredo Mathias designed the Gallery. The Gallery of Rock draws attention for its wavy form, inspired by Copan. The building was built in 1963 and housed beauty salons, stores and technical assistance to screen electronic devices. Only at the end of the'70s, Music stores started to install on site. For the large number of sites dedicated to the public who liked rock, the Shopping Center was called the Gallery of Rock. The gallery has 450 stores and approximately two hundred selling products related to the world of rock. In addition to selling CDs, records, videos, shirts and posters, some establishments are of tattoo and piercing studios. In recent years, the Hip Hop also won their space. Several shops on the ground floor and subsoil are dedicated to street culture. Sao Paulo is well known for its Pizzarias. I just realized we did not comment about any of the, so I am giving here a great suggestion: Pizzaria Braz. 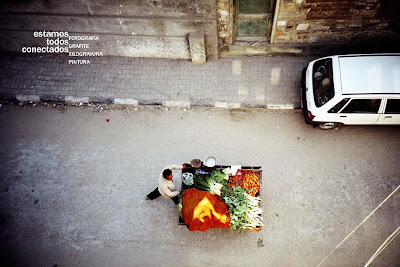 In reality there are different in the city but the one we always go is in Higienopolis, an elegant neighborhood. The history of the Pizzaria Braz is old, even if the one in Higienopolis just opened in 2001. The pizza arrived in Sao Paulo at the beginning of the century. 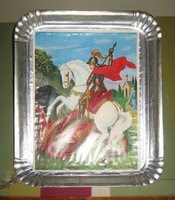 At the time, it was prepared in homes in the neighborhood of Brás. The name of this pizza house was chosen in homage to this traditional Italian Neighborhood. The menu of Bras has more then 20 options, the starters are really tasty but keep some space for the delicious pizza. The ingredients are all fresh and of first quality. The atmosphere is cool, sometimes you’ll have to wait a while to get a free table but you can still have a beer and some snack of calabresa bread on the bar. The suggestion is to go during the week. Nobody will get disappointed. 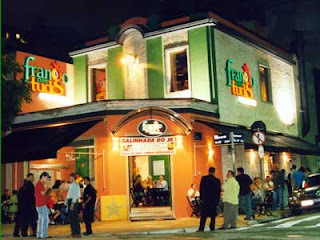 If some of you already know Pizzaria Braz please let us know (on the comments) if you also think this is one of the best of the city or which one could be better!!! When: July 5th to 26th, from 2pm till 8pm. Closed on Mondays. A great place to have a beer — close to the Paulista Avenue —, is the Pub called Drosophila. It's a 'tasty', light "lounge" with music (not live), food and a very different mood, full of objects addressing a creative decoration in a different way of using colors and pictures (as you can see by the pictures of toilet signs). Very good! The sandwich menu is a feature, but the suggestion is the 'frango com gengibre' (ginger chicken) and mango shutney sauce. A Heineken costs R$ 5. The price is average R$ 18 for a dish. How much: R$ 15 to get in and R$ 20 to get in plus a consummation voucher. For those who like to travel, want to come to São Paulo or maintain contact with people from around the world and do not care to sleep on a little couch, the advise is to get inside the network Couch Surfing. This is a virtual community that offers an opportunity to meet people from around the world and if you like, visit cities worldwide sleeping on someone else couch. To participate you must sign up creating a profile with information not only about you, but also about your couch, where his new friends will sleep. It is a way to have a good and cheap trip, and with access to places that only the locals know. 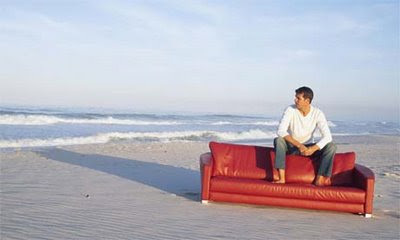 In Brazil there are already over 16 thousand couchs available. Come to try one of the Paulista's couches! The 12th edition of the Festival do Japão (Japan Festival) will be in the Centro de Exposições Imigrantes on the July 17th, 18th and 19th of 2009 (Friday, Saturday and Sunday). Considered one of the biggest Japanese Culture event in the world, and the largest in Latin America, the Japanese Festival will present musical shows, cultural attractions, typical dances, food, exhibitions and special activities for children. The Festival celebrates the 101st anniversary of the Japanese immigration to Brazil and this edition includes concerts, the presentation of Japanese folk dance groups, taiko (Japanese drums) community, and Japanese singers presentation. On Saturday the 18th, the highlight is the 7th edition of the Miss Festival of Japan, led by Kendo Yama. When: July 17th (Friday, from 12pm till 9pm), 18th (Saturday, from 10am till 9pm) and 19th (Sunday, from 10am till 6pm) . At the restaurant Rota do Acarajé, it's possible to find a slice of the state of Bahia. It's a restaurant that looks like a bar and offers delicious dishes prepared by the Chief Cook Diva. A smily lady that cooks one of the best Bahian recipes ever: the Acarajé. It's a dish that looks like a cookie, filled with shrimp and pepper and it's possible to eat using hands or can be served in a plate. When: Tuesday to Saturday, from 11am till 11pm; Sunday and holiday, from 12am till 9pm.